(L to R) Shawn Winston, Cherice Love, Jaquon Clark of Spiritual Tones. Lake Effect's Maayan Silver with the Spiritual Tones and musician John Sieger. The concert is a fundraiser for Progressive Community Health Centers. It's a federally qualified health center providing medical, dental and integrated health services to primarily underserved and uninsured populations in Milwaukee's central city. 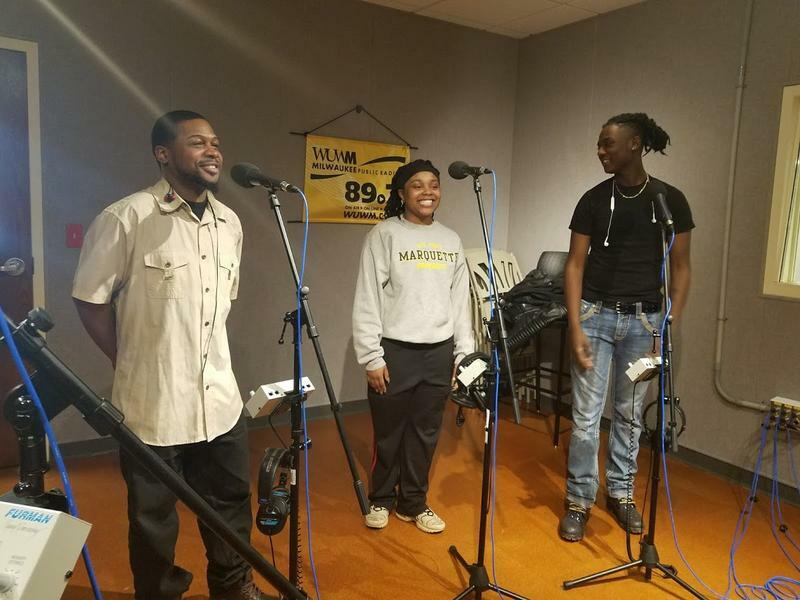 Progressive board member and local musician John Sieger joined the singers, and the four of them explained how they got into gospel music in the first place. "In the early '90s, the Masonic Wonders needed a guitar player, so I found myself in these churches that were very unlike the ones I grew up in," Sieger explains. "Because I grew up in a Catholic church. There were no Gregorian chants in these churches, but there was something that sounded a lot like rock n' roll and blues, and just all the exciting music in America, and it was gospel." "I've been in church all my life, so it's in the blood, really," adds Cherice Love. Her mom, Julia Prescott, is an experienced gospel singer and had been a member of the Queens of Harmony for over 30 years. And, Jaquan Clark says that both of his grandparents are pastors and bishops. An aspect of gospel that makes it special, Sieger says, is that "someone will get up to sing and the whole crowd will support them. In a lot of other cultures, you can have the desire to sing laughed out of you. I know because it happened to my wife, and she's a good singer." This group can perform acapella, but usually sing with instrumental back up with four total singers, a lead and three back-ups. "There's a tradition of quartet singing," says Sieger. "They're all the harmonies I love... it's all folk tradition. You don't go to school for this, but you're actually studying your whole life. By the time you're in your early 20s or late teens, you're one of the best musicians or singers in town. It's just a fact, this town is full of great singers and players who have all learned from this folk tradition that goes way back." And the tradition of gospel certainly moves the young singers in the Spiritual Tones. "When I'm out singing, it just does something to me. It makes my bones quiver," laughs Shawn Winston. "I just really love it." The Milwaukee Gospel Jubilee is Friday, February 2 at 7:30 pm at the Turner Hall Ballroom. Spiritual Tones perform a call and response in the Lake Effect studio. Lake Effect's Bonnie North interviews the Masonic Wonders, Milwaukee's longest continually running gospel quartet. Meet the Masonic Wonders. 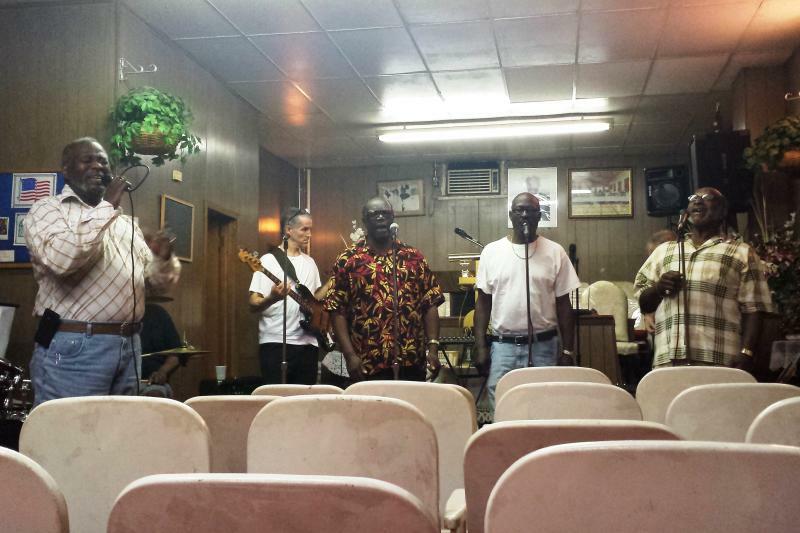 The group has been performing gospel music in Milwaukee for more than a half-century. Once a month, Milwaukee singer-songwriter John Sieger brings friends and fellow musicians into Lake Effect's performance studio to play and chat. 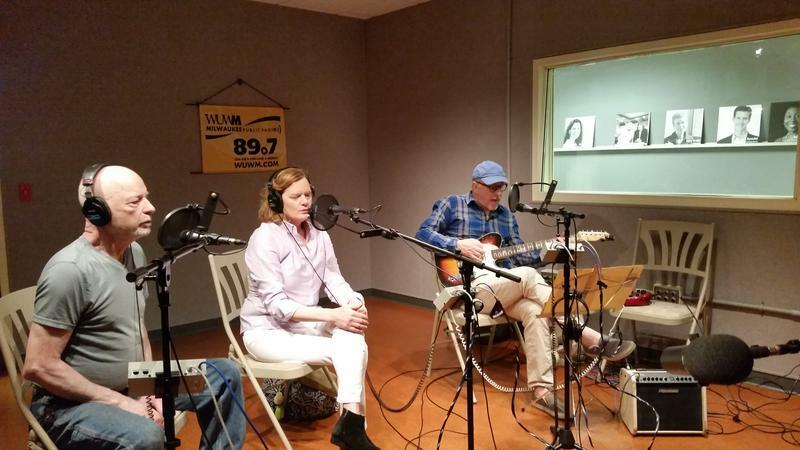 This month, he was joined in studio by his brother Mike Sieger and singer-songwriter Loey Norquist to perform their song, "Have You Been True to the Blues." Norquist and Sieger are currently creating a record together. Although he wrote the song, Sieger says he's not really sure what "Have You Been True to the Blues," means. 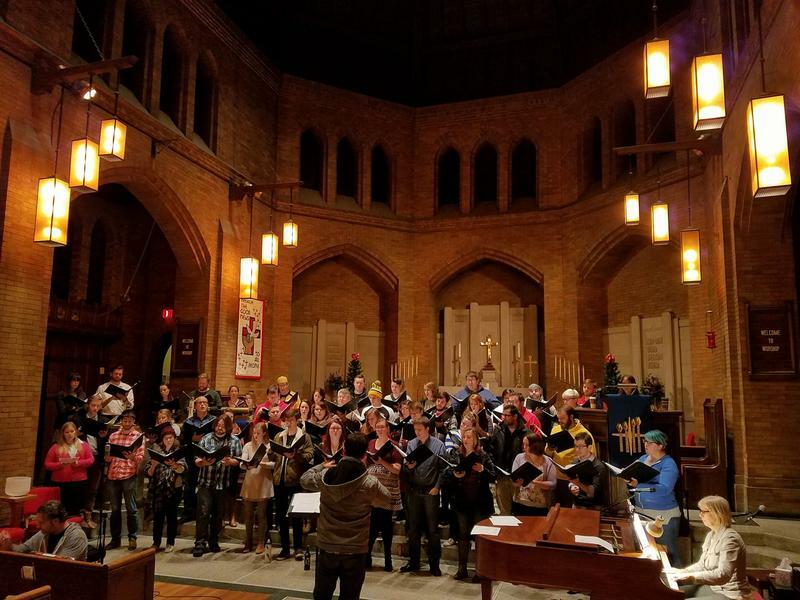 Five years ago, Ben Bedroske decided to create a chamber choir for people who don’t always sing in chamber choirs: recent college graduates. Thus the Chant Claire Chamber Choir was born. Now numbering 56, the choir gives its members a chance to keep their performing skills sharp and bond with a group of their peers.